Hello! I wanted to share a card I made using some fabulous inspiration from the Taylored Expressions Pinterest Boards! I used Taylor's amazing Frightful Night Card for my inspiration today. I just love her sponged (or maybe airbrushed) sky! I decided to use this awesome die called 13 Dead End Drive as the focal point of my card. Love this die! It creates an instant scene! I layered it over a sky sponged with purple ink using the Cloud Border Die as my template. 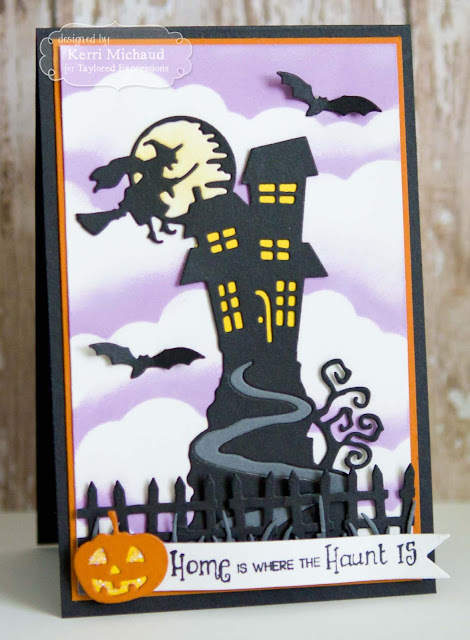 I added the fence using the Spooky Fence Border Die and some gray grass using the Wispy Grass Border Die. 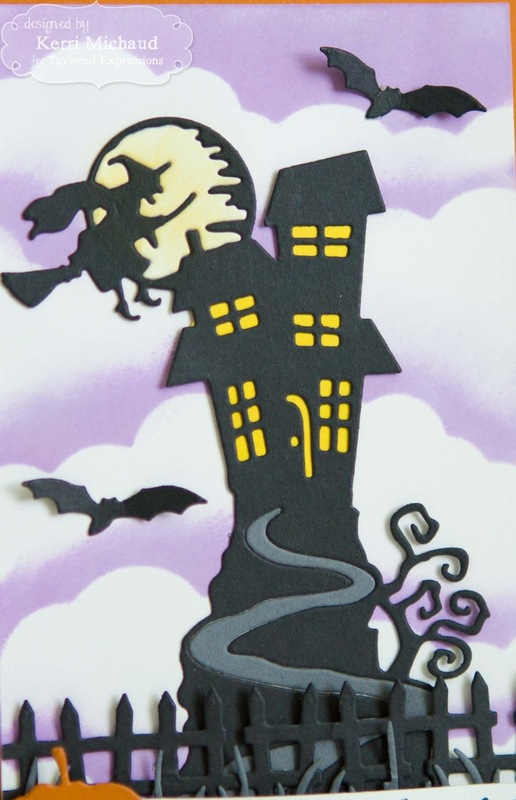 The bats are from the Spooky Trees Accessories Dies and the pumpkin is from the Gothic Window Accessories Dies. The sentiment is from the A Spooky View stamp set.